We have successfully completed our first order down under! 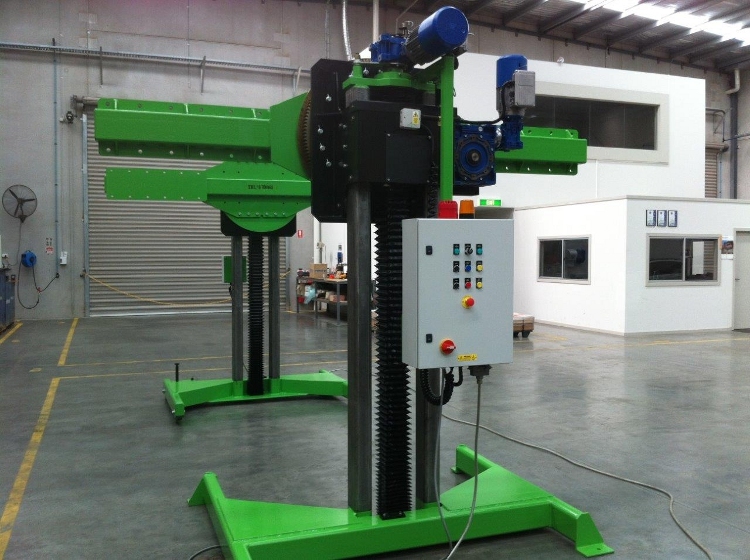 Australia’s Downer EDi Rail has taken delivery of a pair of ten tonne bogie rotators from Mechan, thanks to our local distributor, Unique Rail. The rotators, which are the heaviest Mechan has ever produced, will be used at Downer EDi’s Newport depot in Victoria to maintain up to ten different types of locomotive. This broad remit required design modifications to increase lifting capacity and add extra bolt holes to the structures. Rail industry supplier, Unique Rail, our official distributor for Australia and New Zealand, negotiated the purchase of the new equipment. Managing director, Fabian Borgonha, then worked with our engineers in Sheffield to create a special adapter for Downer EDi that would enable the bespoke rotators to be attached to various bogie frames. Mechan’s rotators comprise two independent structures that work together to hold a bogie frame in place whilst it is rotated through 360 degrees. Typically, they are manufactured to support between six and eight tonnes, however, as freight trains in Australia are larger than the UK equivalent, the capacity was increased for Downer EDi to ten tonnes.